Paul Edwards recently secured a publishing deal through a literary agent he found in firstwriter.com's database of over 800 literary agents. 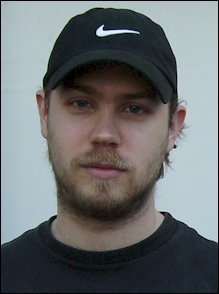 We asked him about his writing, and how he found success. fw: Thanks for taking the time to talk to us, Paul, and congratulations on having secured an agent and a publishing deal. Tell us a little about your book. 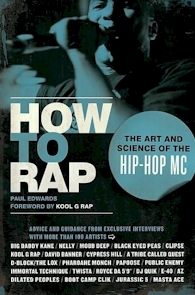 PE: My book is called How to Rap: The Art & Science of the Hip-Hop MC. It’s a nonfiction book and I interviewed 104 rappers for it, so that the reader can learn how to rap in the words of the professionals. The acts I interviewed include The Black Eyed Peas, Nelly, Cypress Hill, and Public Enemy. fw: What made you want to write a book about rapping? PE: I have always loved music and I was surprised there wasn’t a book on rapping. You can buy books on how to play blues guitar, or opera singing, or jazz piano, but there wasn’t a guide to rapping. Seeing as I love rap, I decided I’d take a couple of years and put together something that would help people understand the craft of it better. fw: What approach did you take to writing it? PE: I wrote it more from a researcher’s angle rather than including a lot of my own words, so I collected the information from the rappers, structured it, and presented it in a clear way for the reader. The book is mainly direct quotes from the rappers, so as a researcher I mostly got out of their way and let them do the talking as they’re the real experts. I was doing academic research on rapping for a few years at university – it then took about 2 years to interview all the rappers and another year to put the finished book together. So I think around 4–5 years in total. A tip I’d give, just from my own experience, is to write the whole bulk of it first, and then go through and improve every aspect of it and take out the bits that don’t measure up. I think it’s far easier to improve on something you already have than to try to make it perfect the first time you write it. Having a rough version of the whole thing gives you a better perspective on the bigger picture of the book and what needs changing and how. fw: Had you done any writing previously? PE: I’d been researching rap music for several years beforehand, at university and for a Master’s Degree from University of London. So I had done academic writing previously, but hadn’t published anything. I had to kind of unlearn the academic style and learn a clearer nonfiction style to write this book, so it took a while to get used to writing like that. fw: Do you think it's important to have been published before when pitching your work to agents? PE: I think if you have an idea that an agent and a publisher thinks will sell reasonably well, and you’ve demonstrated that you’re competent enough to write it, then it doesn’t matter if you’ve been previously published or not. If you’re trying to do something that is an area that isn’t really proven, or you have an idea that sounds like it could be a real gamble, then it probably helps to have published something before. I think new authors are probably in a better position than authors who have taken a big advance, brought a book out, and sold very few copies. Publishers will look at the figures for that book, see that it made a loss and won’t want to take the next book on. However, it all comes down to whether it’s an idea that they think will do well… if you have that, then they will still take on the book. fw: After you'd written the book, what was the first thing you did to try and get published? PE: I bought a few books on getting published, so I knew I wanted to get an agent, so that’s the first thing I tried. fw: And did you look for agents in printed books as well? PE: I did try using the listings of agents in books, but that took a long time to search through and to write everything out, so when I found firstwriter.com it seemed so much more practical and specific. fw: What did you particularly like about it? PE: The way you can search through the database makes everything so much easier and thorough. When I found my agent, I searched for just US agents who accepted queries via email… which would have taken ages searching any other way. firstwriter.com makes it very simple to query a lot of agents, targeting the ones who are most likely to take on your work. fw: How did you decide on the format for your query? PE: I had a couple of books on writing proposals and queries, and I had seen a few examples online. My query was pretty short and I made it as punchy and as tight as possible – the main idea was clear and came first and I had a few bullet points listing the key features. I also stressed the size of the audience… it definitely helps to do some research into the market and include some numbers. The thing agents and publishers are thinking when they read your query is, “will this sell any copies?” The more things you can say to them to make them feel like they’re not taking a gamble, the better. When picking “similar books/competing titles” to list in the query or proposal, pick books which have sold well, because if you pick a bunch of similar books to yours and they haven’t sold anything, then you’ve just proved to the agent or publisher that no one buys that sort of book. This doesn’t mean you should compromise your writing or your idea or try to commercialise what you’re doing, but you should take what you have and present it in the best possible light, sales-wise. The less research and work the publisher or agent has to do the better – give them firm figures and evidence that your book will sell. I sent out my queries in two big sending-out periods. It was the second lot that worked, where I was sending out just email queries and they were all the same. I got replies from six agents asking to see the proposal and sample chapters based on the query, so I sent those out, and about two months later one of the agents asked if I would sign a contract and that was that! fw: What was the difference between the two batches you sent out? PE: The first time I sent out a proposal and I was sending out to agents listed in books. I was in England at the time, so I sent out to just UK agents that were listed in the books I had (this was a silly move, as there is a bigger audience for the book in the US!). I think I sent out to over fifty agents and those all came back as rejections. I then rewrote the proposal and also put together an early draft of the book, so that I’d have sample chapters to show. I then sent out a second batch, in the form of queries to US agents via email… I think I sent out to about fifty again. And that’s when I got my agent, based on that second batch. fw: How did you deal with all the rejections? PE: The whole process from getting an agent, to getting a publisher, and when I was interviewing for the book was full of rejections. To get one “yes” you have to deal with wall-to-wall rejections for a long time. I’ve read quite a few biographies of successful people and it seems a common theme that you have to go through many, many rejections before anything starts happening. I expected a lot of rejections so they didn’t really throw me off course when they came, I knew to just keep trying and keep improving the book. fw: What do you think made your agent sign your book? PE: She saw the potential in the idea and the way it was done, and when she called publishers they were interested in taking a look, so she decided to take it on. We’re a good match because she believes in my work and I trust her to find my books good homes and to sort out the contracts. fw: And how did things change once you'd got an agent? PE: It’s cool having an agent, though I think the novelty wears off pretty quickly! I think your mind just accepts it, that becomes your new day to day reality, and you get to work on the next step. I think writers may expect more contact with their agent than you actually get… basically if not a lot is happening, they won’t contact you, and when something IS happening then it happens pretty fast, over just a handful of emails in my experience. My agent is in New York and she goes to meetings, but there is no reason for me to personally meet up with her and it would be a big travel expense, when it can all be so easily sorted out over email or phone. Maybe authors regularly selling millions meet with their agent in person a lot, or if you live close by, but I don’t think many other authors see their agent much either, as far as I know. Right now, my agent is trying to get me to write a second book! fw: After you secured your agent, how long did it take to find a publisher? What was the process? PE: It took a while to get a publisher, though a lot of the time was taken up with the publishing industry moving very slowly in general. Your agent can send something off and you won’t hear back for two or three months. The process is pretty simple though, you email your agent with the proposal and sample chapters, then you sit back and wait to see if there is any feedback or if they’ll take on your book. fw: Which publisher accepted your work? Do you think there was any particular reason they did, and do you think they would have done if you hadn't had an agent? PE: Chicago Review Press – again I think they liked the idea and they liked the way it was executed. They have an imprint that focuses on music and another imprint that focuses on African-American culture, so my book fit well with their catalogue. I don’t think they would have taken it on without my agent, because she has placed books with them for another one of her authors, so she already had a good working relationship with them. They were more willing to give my book a look because of that. fw: After your book was accepted, how did you find the publishing process? PE: The book is out now and I went through the whole editorial process a while back. I think I was lucky because my project editor was very, very thorough and logical and we agreed on all the changes – his suggestions made the book a lot better. There are a few editors who worked on the book – my acquiring editor, who basically read the book when I handed it in and gave it a general OK, she handed it to my project editor who did the most work on it and suggested changes, and also there was a copy editor who focused solely on fixing grammar, spelling, etc. There was also an indexer who compiled the index. My project editor also checked a lot of the factual things in the book, just to make sure I had gotten track names and everything correct. fw: When was the book released? PE: The book was released in December 2009. The distributor is IPG, who I’ve read are the third biggest distributor in the U.S., so it’s in all the major bookstores in America. It’s also on amazon and elsewhere on the internet. They do have distribution elsewhere in the world, though I’m not sure how comprehensive that is. fw: Now that the book is out do you find that your role has changed? PE: Yes, you totally have to become a publicist once the book is out, I haven’t really had any time to do any other writing! I’ve done quite a lot of magazine, radio, and internet interviews and spent a lot of time just getting the book out there to as many people as I can. I didn’t do events or book signings, because I’ve been told unless you’re famous already, it’s hard to get a lot of people to come to them, and for the time and money spent in organising things like that, you don’t get the numbers to justify it. For example, if I go to a bookstore in another town for a signing, I might spend money on travel and accommodation and maybe 100-200 people will turn up or see the book in some way. Compare that to some of the big music websites I’ve gotten the book on which reach the audience directly—some of those websites have hundreds of thousands of visitors per day and it doesn’t cost anything to get publicity there. fw: Do you have any tips for other writers trying to get published? PE: I’d say stick to what you love and know and keep improving it, figuring out what you can do to make it a better book. It’s also better to put all your time and energy into one idea than it is to spread yourself thin over a number of ideas. Don’t give up on a project because of the rejections, if you believe in it, keep going. fw: Where are you taking your writing now? PE: I’ve got another Hip-Hop related book in the works – I’ll be looking to get a publisher for that in the next year or so, and I’ve got a lot more publicity to do for this book! fw: Thanks for taking the time to talk to us, Paul, and best of luck with your book! She’s one of Britain’s best-selling authors and a respected complimentary healer, but Anne Jones’ journey into the literary world has not been easy. In the first of a series of articles, she reveals the trials of tribulations of becoming an author – and getting your work into print. The most exciting moment of my life, well at least my life as an author, was walking into the bookstore and seeing the picture of me (not too bad a one for a change) with the title of my latest book and “Author of the Month” blazing above my head. How wonderful, at last my dream comes true. Below the poster was a table, just as in my dream, piled high with copies of my books. I allowed myself a little snuffle of emotion and took a photo to capture the moment. My journey to reach that point had been challenging, rich and interesting. Intertwined with my development as an author there have been a number of extraordinary experiences as a spiritual healer, which led me to give workshops, to travel the world, to meet hundreds of people with interesting problems which fed the content of my books. Very neat. My own personal “awakening” occurred fifteen years ago in Malaysia where my husband had been posted and I lived the privileged life of an ex-pat wife. I had a gardener, cook, cleaner and driver leaving me free to develop some latent talents and unfulfilled dreams. Up to that point my life had been a crush of computer sales, teaching, small business development, housekeeper and surrogate mother for two teenagers and wife. Not unusual for a would-be superwomen of Maggie Thatcher’s Britain. So to have unlimited time to do my own thing was a luxury. WASP work ethics can never be denied so I spent my days developing and editing the Expat Magazine, fundraising, running PC workshops and oil painting. For balance I played at organising dinners, games evenings and parties. What a life! I then had an extraordinary experience, definitely life changing. I was relaxing on my bed one afternoon when I heard a voice, loud and clear, telling me to start healing. I sat up in shock and replied “how?” I was told to speak to Sal, “Miss Piggie” the restaurant reviewer of our magazine. I saw her the next day and she handed me a pile of books by Betty Shine a well-known medium and healer and I was off and away. Over the next few months I discovered an entirely new dimension of life as I practised my new art on friends and family and as my understanding grew I began to teach and share many of my amazing experiences. I became totally engrossed in my new work and gave up all other pastimes. I had a number of visions and dreams around that time and one night I dreamt I was in a bookshop standing before a huge pile of books – all mine! The next morning I woke up passionate to write my first book. Produce a synopsis, with an overview of each chapter, including anecdotes or case studies or, if a novel, the characters, their back story, and the plot. Write the first chapter or two. This will give agents and publishers an idea of your writing style. the selling points or plot overview; over 50 per cent of bookstore browsers choose a book from the plot synopsis. Send the above to a number of agents. You will find plenty on the internet but choose those that deal with your type of book. These days publishers won’t accept anything that is not via an agent. When you find an agent you will need to sign a contract which will detail the agent’s commission, this is likely to be about 12% plus VAT. For this they will find you a publisher and organise a favourable contract on your behalf and collect your royalties, which normally are paid half-yearly. Next you sign a contract with the publisher. My publisher has been Piatkus, a division of Hatchett’s Book Group and they have always given me an advance, not mega but then I am not a celebrity! They guide me and edit my books, proof read and do all design and layout. They also correct punctuation etc. for me, thank heavens. I just have to write the book on time and make the changes that they suggest. Once the book is complete, normally a nine month process, they will distribute the book in UK and any overseas markets where English is read. They will also organise overseas rights, selling to publishers in other countries. The toughest call for an author is the discipline of writing. There are thousands of half written novels waiting for the energy and determination to be finished. Once I have a deadline agreed with my publisher I mark out weeks in my diary that I keep exclusively for writing, I then set myself up somewhere without a phone and work to a schedule. I determine how many words I will write each day and I don’t start to play until they are written. It can feel like a long haul but just when you think you will never reach the end it’s upon you and with great exhilaration you send it off to your agent or publisher. Champagne time! All that done, you then sit back and are amazed that you are not famous in a month! Well maybe you will be but this is a hard business and most books sell fewer than 1,000 copies. Sales of 5,000 copies of a novel or 7,500 of a non-fiction would classify as a success. So you can see it is quite difficult to make a fortune from writing. Of course, the joy of seeing your dream in print is worth thousands! Just remember, however, tough it gets and however many obstacles, rewrites and delays you meet on the way, don’t ever forget your dream, keep bringing it back to mind and stick with it. The result will, without doubt, be worth it no matter how many you sell or give away. The Writer’s Haven Magazette is a new magazine for writers, publishing how-to articles on writing, getting published, and how you got your first sale, as well as fiction up to 750 words, poetry up to 20 lines, and markets. Anyone interested in submitting or subscribing should click here for more information, or go to the website at http://www.writershavenmagazette.com. For over 1,200 other magazines, click here. The Poet Band Company is asking for poetry (maximum 40 lines) and prose (maximum 300 words) to be submitted for possible publication in The Poetry Explosion Newsletter (The PEN),issued quarterly (January, April, July and October). July’s issues are dedicated to romantic poetry. The newsletter publishes poems and prose pertaining to all subjects (love, holidays, etc.) and in any form (sonnets, haiku, rhyme, non-rhyme, free and blank verse). Simultaneous and pre-published submissions are accepted. Bio-sketches are optional. Contributors are not paid but will receive a free copy of the issue in which they appear. If sending currency from another country, please send International Coupons (2 per dollar amount) or a Money Order or Check written in US dollars from a US bank. How many stories can you write today? It’s a cliché that everybody’s got a novel in them; if that’s true hardly anybody knows what it is, let alone gets around to writing it. Experts agree that the secret to writing well is to write often, about anything or nothing at all. The important thing is less the subject of our scribbles than getting into the habit of writing regularly. Yet “I don’t know how to start” or “I don’t know what to write about” are our reasons for not writing. They aren’t just excuses either – even experienced writers can find that, with pen in hand or fingers poised over the keyboard, they simply don’t know where to start. Enter Scriptopus, a timed game of round robin storytelling. Ten writers contribute short segments via the online interactive web application, and get email alerts to see their completed story. They can participate in as many stories as they like, start new ones, and share completed stories with friends. But there’s a catch – each writer can only see what the previous one has written. Stories are selected at random. At once surreal and hilarious, a Scriptopus story is an exercise in catch-and-release inspiration. The aim is to get people to stop procrastinating and start writing. From the person who thinks they’ve got stories to tell but struggles to get started, to the accomplished writer developing an idea, to the online game-player looking for a new, more literary challenge, Scriptopus presents a different approach to the daily writing exercise. It drops you into an ongoing story, asks for a quick burst of imagination, and lets you go with no long-term commitment – unless you count becoming addicted to a form of storytelling that is both anonymous and collaborative. Scriptopus is completely free and brand new. It’s the brainchild of a Londoner with a day job that leaves little time for writing, and a conviction that storytelling in the age of Twitter can be global, collective, a little bit random and a lot of fun. Scriptopus launched on March 18, 2010. Check it out on http://scriptopus.com, follow on http://twitter.com/scriptopus, or become a fan at http://facebook.com/scriptopus. Essays and creative work are solicited for a collection entitled Poetry and the Real. The editors wish to update and expand scholarship on the relation between poetic discourse and material life, in particular moving beyond the critical interventions made by twentieth-century language poets. Essays will explore questions of audience and dissemination, critical trends and relations of production for poetry, as well as explorations of poetry's specific use of language, form and narrative strategy. Creative works which specifically address these issues are also welcomed. The editors envision the collection containing a mixture of generic interventions in a creative/critical dialogue. 7th year! The RRofihe Trophy for an unpublished short story! Limit: 5,000 words. Winner receives: $500, trophy, and publication in Open City magazine. Judge: Rick Rofihe.